can lead to problems for individuals and families—as well as be addictive. 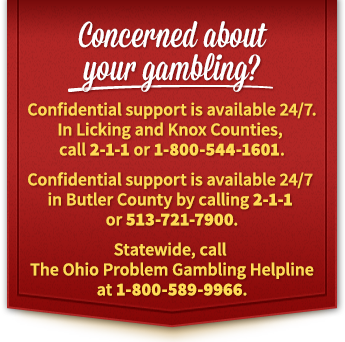 Play It Safe is dedicated to helping Licking, Knox and Butler County residents understand their limits, so they can gamble responsibly if they choose to play. Support is also available for those struggling to stay in control and for those who have loved ones with gambling problems. Pathways of Central Ohio is a member of the Problem Gambling Network of Ohio.